Billy has been working with individuals and businesses in the Wiregrass area for 15 years. During this time, he has grown a practice that has succeeded through its dedication to developing lasting relationships with each of his clients. Billy believes his ultimate role is to individually guide clients through the financial marketplace, in all economic times, by helping to create and manage strategies to their life goals. His goal is to provide clear, easily understood explanations of financial products and strategies, and for clients to find confidence in his integrity and experience. Billy is a Registered Principal and an Investment Advisor Representative with Private Client Services and maintains the Series 7, 24, and 63 registrations. Billy is also Life and Health insurance licensed. Billy has a Bachelor's degree in Finance from the University of Rhode Island. 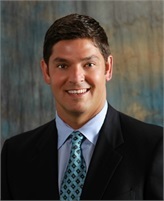 Prior to working in the Financial Services Industry, Billy had a successful collegiate football career as a quarterback at the University of Kentucky. At the University of Kentucky, Billy was chosen to be the Team Captain for the 1996 Season and also received the Most Valuable Offensive Player Award. A coaching change in 1997 forced Billy to continue is college career at the University of Rhode Island where he completed his college degree. Billy and his Wife have 2 sons, Abe (6) and Henry (3), and enjoy spending time outdoors and at the beach. Securities offered through Private Client Services, member FINRA/SIPC. Investment services offered through RFG Advisory, a Registered Investment Advisor. RFG Advisory, Enterprise Investment Planning and Private Client Services are unaffiliated entities.